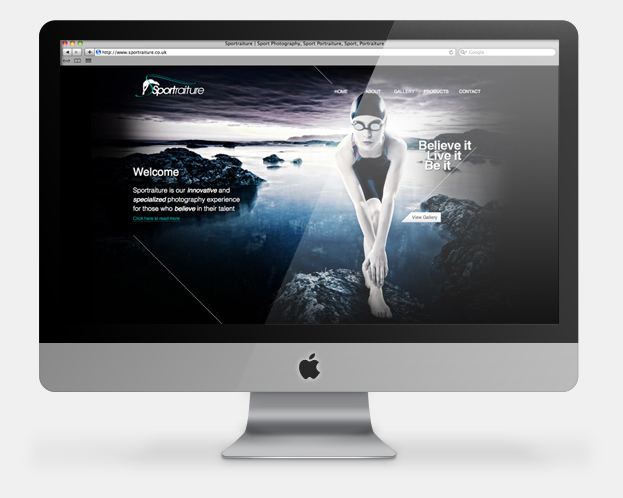 Sportraiture is a new photography business that specialises in creating advertising standard sports imagery for young people dedicated to their sports. 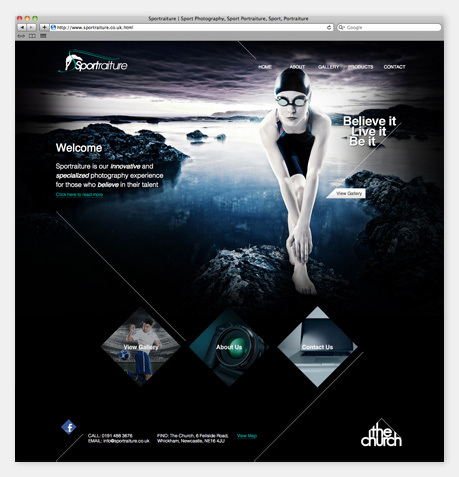 The example shown on the home page to the right is of a swimmer, posed on a rock over a scenic lake. The idea behind their service is to create stunning images that display the passion for the sport they are involved in, in a unique way. 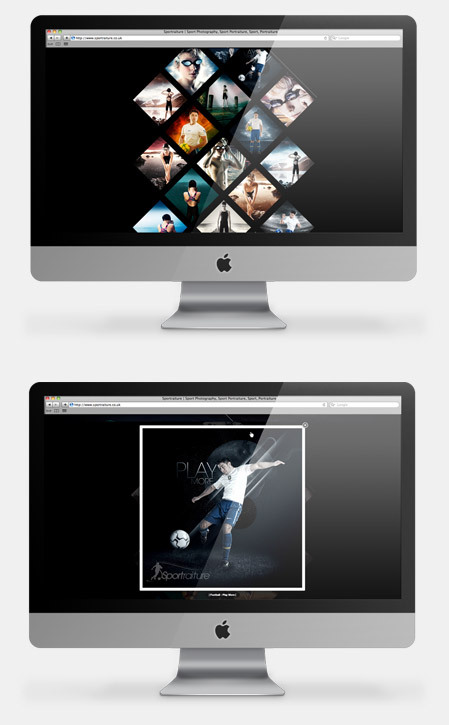 The logo I created can adapt to any sport with the change of the sports icon to the left of the Sportraiture logo type. 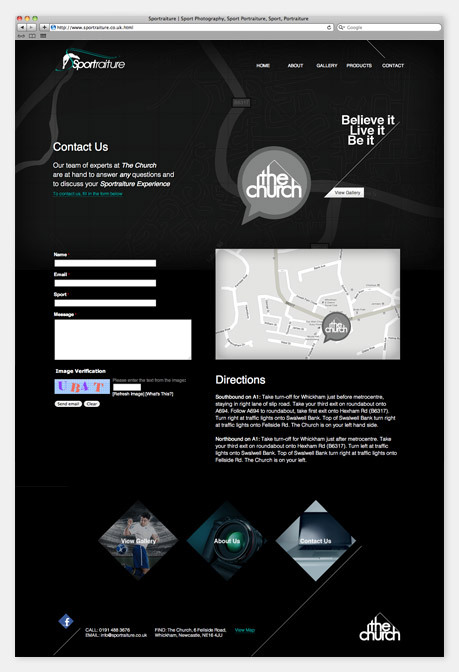 Right angled lines and large striking imagery appear throughout the identity and website to establish a visually exciting brand that engages with its audience in an attractive way. The large background image at the top of the website changes for each page as well as a diagnal pointer that shows what page you are currently on. Every small detail is considered and brandishes the same look and feel throughout. Following the angular theme the gallery thumbnails appear in right angled squares and collectively create large angled squared, the focus is on the size and quality of the images as well as a user friendly one click image browsing system. The website has a strong identity and is carried consistantly on all of the printed design I have also produced for the company. Completed whilst working at Pacific Studios.